The development, implementation and maintenance of deep renovation package for large scale renovation require a multi-disciplinary approach: the consortium was built to balance background, skills and expertise, ensuring the achievement of expected results. The 4RinEU team is composed by SME manufacturers, service companies, builders and consultants, while all the necessary knowledge fields are covered by research institutions and consultants. The Coordinator is Eurac Research. Eurac Research is a private research centre based in Bozen-Bolzano. Our researchers come from a wide variety of scientific fields and from all parts of the globe. Together they dedicate themselves to that which is their profession and vocation – shaping the future. 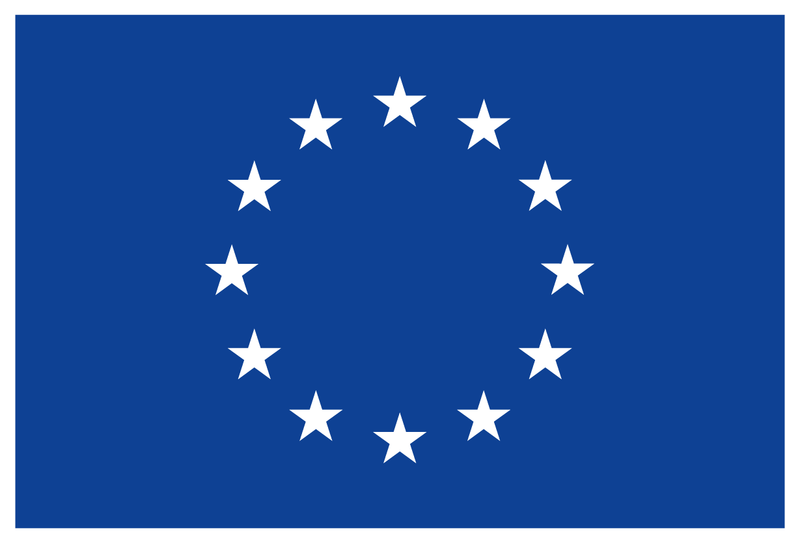 Eurac Research was founded in 1992 as an association under private law with just twelve members of staff undertaking research in the areas of Language and Law, Minorities and Autonomous Regions as well as the Alpine Environment. The centre gradually expanded its activities into new areas, attracted scientists from all over the world and introduced new structures. Today, almost 300 scientists from over 30 countries work here. The Institute for Renewable Energy conducts applied research on advanced energy systems, based on or including sustainable energy sources. Its activities include national and international research projects, promotion of renewable energy technologies and scientific consultancy to political decision-makers.​ The Institute's research involves the extensive use of dynamic simulations and multiphysics modelling of advanced energy systems and buildings.​​ Scientific results are based on laboratory tests of single components and integrated energy systems, as well as the monitoring of applied demonstration sites, experimental outdoor installations and residential buildings. SINTEF is the largest independent research organisation in Scandinavia. “The Foundation for Scientific and Industrial Research” was established in 1950 and is a large contracting research organization with a turnover of about 350 M€ and approximately 2100 employees, of whom more than 700 holding a PhD degree. SINTEF generates knowledge and solutions for customers in the following fields: health, information and communications technology, marine activities, materials science and applied chemistry, petroleum and energy, technology management and building and construction. SINTEF performs R&D for national, EU and international programs, government and non-governmental organizations, service providers, large industrial companies and SMEs. SINTEF also works closely with NTNU, the Norwegian University of Science and Technology in collaborative partnerships. Aderma is a ventilated façades installation specialized firm. Aderma offers tailored solutions, high standard of service with decades of experience. The company offers integrate solutions for the realization of façades with prefabbricated elements covering all the supply chain: building diagnostic, design, components integration, anchoring production, façades installation, commissioning and maintenance. Aderma offers also the diagnostic activities on building. The experience covers the structural diagnostic, with the implementation of non-invasive/non-destructive techniques on different class of buildings, including Cultural Heritage, and the energy diagnostic, by using state of the art of measuring instruments and self-developed tool for data elaboration and dynamic simulations. Trecodome is an international SME based in The Netherlands, providing expertise to housing associations, architects, industries and governmental organizations. Its expertise focuses on integrated energy design of buildings and districts and balancing low energy demand of buildings with low impact supply systems. Trecodome addresses advanced solutions for buildings and cities in view of truly low levels of CO2 emissions. Trecodome combines knowledge about integrated building and renovation solutions with conceptual approaches for cities and districts. AIGUASOL is an international energy engineering cooperative whose aim is to create indoor and outdoor spaces and to devise exceptional, comfortable and efficient systems and processes that have a positive impact on the environment. AIGUASOL’s independence and high scientific rigor confer it a recognized position of neutrality and objectivity in the sector. Founded in 1999, the AIGUASOL team is made up of more than 20 professionals with a high level of technical and scientific experience. They include engineers, PhDs, architects and physicists who have notable experience both in private companies and research centers. AIGUASOL is a locally based, globally active company. They have offices in Barcelona and the Basque Country as well as a presence in Santiago de Chile, Lisbon and Bogotá. The central offices cover projects throughout Europe, Asia and Africa. Gumpp & Maier GmbH is a carpenter and building contractor located in Bavaria, Germany, specialized in prefabrication and construction of engineered timber based structures, Design and Build projects. The year 2015 had a turnover of approximately 12,5 Mill EUR, and worked with an average number of 75 employees. As a general building contractor Gummp & Maier is active in the local national area. In addition, it offers planning and prefabrication services to local partner carpenter companies. In the European and national levels Gummp & Maier works with a network of main contractors and acts as a sub-contractor for the carpenter trade, designing, producing and/or installing prefabricated building components. Recent projects have been carried out in France, Holland and England, developing timber frames for objects that include from houses to community centres, schools and multifamily dwellings. As a direct result of R&D activities, in the recent years, the company has taken a strong commitment with the retrofit of existing buildings. Thermics is a company that grew out of a long experience in the industrial sector of heat exchangers, and has extended its know-how to the solar energy and heat pumps sector. Thermics promotes the efficient and competitive use of renewable energy: a clean, inexhaustible source. The goal of Thermics is to design and produce innovative solar technology products in a continuous evolution. Internal Quality Management system and constant attention to the smallest details are meant to realize top quality and high-performance products. IES are developers of the world’s leading integrated building performance modelling software system the "Virtual Environment". As such IES has unsurpassed experience in the application of these advanced design tools to enhance building performance, and create more sustainable buildings. Founded in 1994, employing over 160 staff, and headquartered in Glasgow Scotland, IES also has offices in Dublin Ireland, Atlanta GA, Pune India, Melbourne Australia, and Singapore. In this time IES has provided leading edge support to the design, construction and operation of some of the largest and most challenging buildings in the world. The IES "Virtual Environment" is a suite of building performance modelling tools based around a single integrated data model. The purpose of the system is to provide the high quality information required to design, build and operate better performing, more sustainable communities. It can be applied from the earliest stages of the design or through operational stages. The "Virtual Environment" is used today by many of the world’s leading architectural and engineering practices and in recent years has been proliferating at a very rapid rate due to the unique ability to improve decision making and workflow. R2M Solution Srl is an integrated and multi-disciplinary entrepreneurial innovation company that aggressively targets filling the gap between research activities and market implementation across the fields of Innovation, Engineering, Energy Services & Sustainability and ICT/Automation. R2M is a strategic innovator itself and as part of its business model helps organizations and projects plan and execute the strategic use research funding carried out over a comprehensive development strategy from idea to market. In doing so, R2M provides leadership, links high performance exploitation oriented networks, and leverages public and private funding instruments. In its sustainability consulting activities, R2M conducts ISO 50001 consulting, LEED certification, sustainable design consulting for retrofits and new construction, renewable energy system design, building energy simulation, fault detection and diagnosis and IPMVP planning and assessment. Woonzorg Nederland is one of the largest social housing companies in the Netherlands. Woonzorg Nederland develops and manages residences especially for elderly people. The company provides independent living in 27.000 dwellings, assisted living as well as sheltered homes in 18.000 apartements in caring and nursing homes. 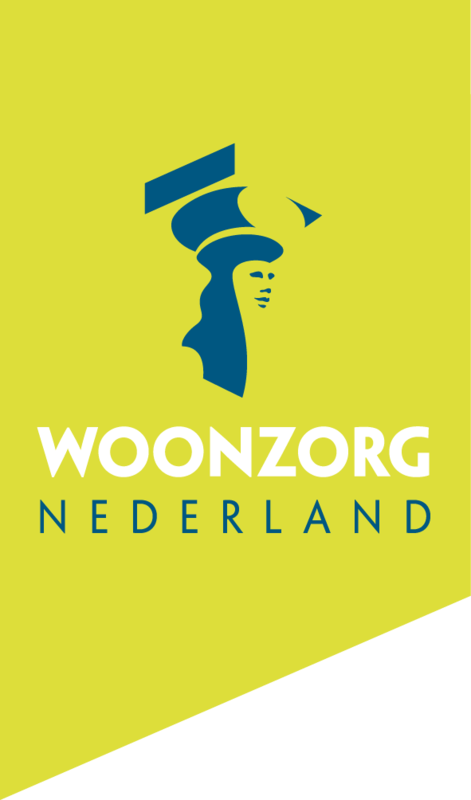 This is done throughout the Netherlands, as Woonzorg Nederland is represented in about 170 municipalities. Boligbygg is a municipal housing company, and owns, operates and manages all rental-housing units owned by Oslo municipality. It provides housing to app. 25.000 residents in more than 10.800 rental units. Within its portfolio there is a large variation of quality and the year of construction of buildings. Oslo is one of the quickest growing cities in Europe, so in addition to working with a significant backlog of rehabilitation the company also works with development of new houses and buildings, to meet different needs of the city districts. The city of Oslo has passed an urban environmental development plan with aims to reduce greenhouse gas emissions by 50 % within 2030. Buildings contribute to 40 % of the total use of energy, materials and CO2 emissions on the European level. In that context, Boligbygg as a large public building owner needs to adopt its excising apartments into more highly energy efficient, low emission buildings. Being one out of three public building companies owned by the city of Oslo, Boligbygg has a large network of building owners and thus a high potential for replicating successful results from the project. The property portfolio consists of social housing apartments, housing for elderly and housing for people with disabilities. In addition Boligbygg also provides some dwellings for youth and owns the city’s residents for priests. The primary mandate is to provide safe and proper housing to all of its residents. The Agència de l’Habitatge de Catalunya (Housing Agency of Catalonia) created by the Law 13/2009, of 22th July, and approved unanimously by the Parliament of Catalonia, has the purpose to endow the Catalan Government with an agile administrative tool to facilitate the management of all public actions in terms of housing. The Housing Agency of Catalonia, then, has the aim to develop, implement and manage housing polices in the Catalan Region. The activity of the Agency is divided in three areas: Promotion of housing, Social Programs of Housing, Rehabilitation and Quality of Housing. It manages a social housing stock of 14.704 dwellings. Networks of lead and end users, selected in three geo-clusters out of the one where the Demo-cases are, as first adopters of the 4RinEU results. The Foundation for Lubelskie Development is a non-governmental organization whose mission is to improve the quality of life of the inhabitants of the Lubelskie Voivodeship by promoting the development of entrepreneurship and the knowledge economy. The Foundation provide advisory, information and training services on the base of quality management system in compliance with PN EN ISO 9001:2009. Foundation’s offer is addressed to entrepreneurs and people interested in starting a business, local government, rural residents (farmers and their families), persons employed, unemployed and at risk of social exclusion. The Foundation has its headquarters in Lublin and own a network of 4 branches in Chełm, Lubartów, Łuków and Zamość. Since 2008, Foundation takes measures to exploit the potential of renewable energy sources for developing local economy Foundation is the leader of Lublin Eco-Energy Cluster, whose mission is “to support all activities related to sustainable use of renewable energy sources on the basis of the potential of the Lublin Voivodship through the development and implementation of technological, production and management innovations as well as the popularization of Renewable Energy Sources, energy efficiency and energy saving buildings in the Lubelskie Region”. Through the cooperation with the partners of the cluster: entrepreneurs, universities, research institutions and NGOs, the Foundation is the initiator and implementer of projects associated with the development of the renewable energy industry and energy efficiency improvements in the Region. Foundation is the owner of the Business Incubator located in Lublin. Incubator provides services for new start-ups and SMEs especially in branches: renewable sources, energy efficiency, energy-saving buildings and IT technologies. Limerick, located on the western periphery of Europe is Ireland’s most well established city. Limerick has a population of just under 200,000 (194, 899), while Limerick City is Ireland’s third biggest city with 97,000 people. It has high quality road and rail linkages to all major cities, airports and ports and is approximately 20 minutes from Shannon International Airport and located next to Ireland’s largest deepwater port, Shannon Foynes Port Company. Limerick is home to three 3rd level academic institutions and a student population of 20,000, which serves to enhance the dynamism, energy and vibrancy of the city. Additionally, the collaborative co-operation that exists between Limerick’s 3rd level institutions as they seek to meet business skills needs is renowned. Since 2014, Limerick has experienced considerable economic growth and is now established as the country’s fastest growing regional economic centre. The city and county continues to attract high levels of new FDI investment that exceed all national performance indicators. It continues to support a prosperous indigenous SME economy also experiencing considerable growth. Limerick possesses all the required infrastructure, talent and ambition to continue to meet the strategic and economic objectives mapped out in its economic and spatial plan, Limerick 2030. The delivery on that ambition in five short years has seen the narrative completely transformed nationally and internationally about Limerick – a city and county now recognized as a vibrant place to live, study, play and invest in. The economic renaissance currently underway in Limerick has also been energized by the local authority’s determination to take advantage of digital technologies. This will help to double the number of digital start-ups in Limerick, double the number of SMEs trading online, double the use of data and create equal opportunities for all citizens. Limerick is the first city in Ireland to appoint a Chief Digital Officer to lead a digital strategy that will lay the foundation for the Smart Limerick Region. One manifestation of this is Limerick.ie, (named Top 25 Tourism websites in the world 2017 *Skift.com) that enables locals and visitors instant access to information on some 2,000 attractions and 1,000 events across the city and county each year. ÉMI as a state-owned expert company in building industry has been participating in many areas of building energy field. It can be stated that ÉMI has one of the most significant experience in the building energy field of Hungary, including the nZEB requirement related topics. ÉMI was the group leader of working out the National Energy Strategy for Building Sector which is a so called refurbishment strategy for public and residential buildings too. ÉMI has long experience in European research being active in FP5, FP6, FP7 and H2020 as well. In the framework of the CONCERTO PIME’S (FP7) project the Szentendre (HU) Community had delivered three refurbished public building, a new office building (EMI Knowledge Centre) and one refurbished residential building and almost thirty kinds of innovative architect elements and building engineering solutions has been installed at these demonstrations, such as hybrid solar cells, heat pump based on treated sewage water or green facades and roofs. In the project of BRESAER, "Breakthrough solutions for adaptable envelopes for building refurbishment" (H2020) ÉMI is the leader of the task “BRESAER system testing and validation”. ÉMI is member of a number of European and international organizations such as EOTA, EGOLF, ENBRI, CIB. Since 2016 July ÉMI is the Country Coordinator of Covenant of Mayors in Hungary so contributes the preparation of SEAP (Sustainable Energy Action Plans) and SECAP (Sustainable Energy and Climate Action Plans).